Whether you prefer walnuts, pecans, or hazel nuts, eating a handful of nuts every day can cut your risk of heart disease, cancer, and many other diseases. That’s the conclusion that researchers from Imperial College London and the Norwegian University of Science and Technology have come to. The team recently took a look at 29 separate studies from around the world, comprising over 800,000 participants and thousands of cases of coronary heart disease, stroke, cardiovascular disease, and cancer. And in all those cases, they found that consumption of at least 20 grams of nuts per day reduced health risks. "We found a consistent reduction in risk across many different diseases, which is a strong indication that there is a real underlying relationship between nut consumption and different health outcomes. It's quite a substantial effect for such a small amount of food,” said Dagfinn Aune, co-author of the study. 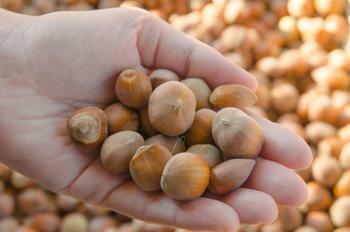 But why exactly do nuts seem to have such a profound effect on health? The researchers think it has to do with the nutrients found in these foods. They point out that the benefits of some nuts override their fat content and might even lead to reduced weight in the long-run. "Some nuts, particularly walnuts and pecan nuts are also high in antioxidants, which can fight oxidative stress and possibly reduce cancer risk. Even though nuts are quite high in fat, they are also high in fibre and protein, and there is some evidence that suggests nuts might actually reduce your risk of obesity over time," said Aune. When it comes to reducing other health risks, Aune says that even peanuts (which are technically a legume) have some benefits. "Nuts and peanuts are high in fibre, magnesium, and polyunsaturated fats -- nutrients that are beneficial for cutting cardiovascular disease risk and which can reduce cholesterol levels,” he said. With these findings under their belts, the researchers are hoping to continue their work to see if other food groups, like fruits and vegetables, can reduce the risk of other diseases. The full study has been published in BMC Medicine.